Submitted by stanka on Mon, 22/05/2006 - 09:01. The Institute of Slovenian Ethnology (ISE) SRC SASA is one of the central ethnological institutions in Slovenia. It was established in 1951, and its beginnings reach back to 1947, when the Commission for Slovenian Ethnography was founded at the Academy of Sciences and Arts (ASA). 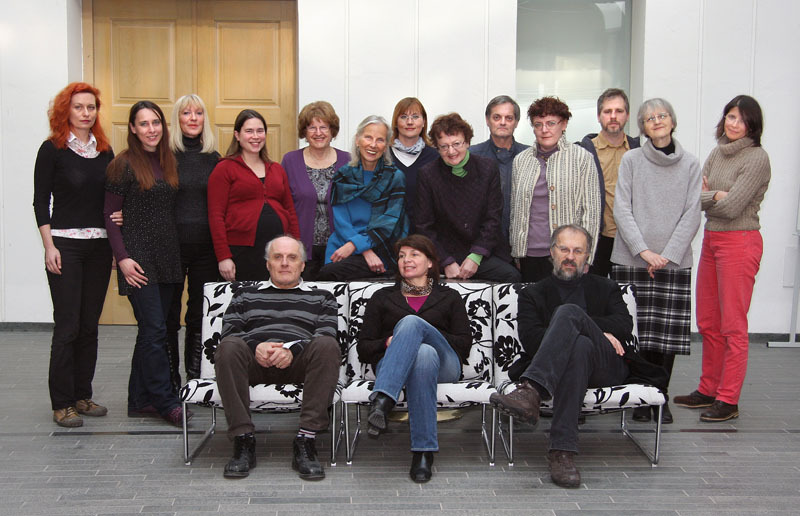 Through decades of expanding its research fields and employing new staff it has grown into an institution that devotes its basic and applied research to all fields of modern ethnology, especially within Slovenian ethnic territory. As part of their ethnological research, the institute’s researchers focus on the following themes: economy, architecture, ways of living, food, family, kinship and other forms of community life, local cultures, interethnic contacts and relationships, manners and customs, rituals, folk narrative, literary folklore, beliefs and other cultural phenomena of intangible cultural heritage. They also deal with visual anthropology, history, and ethnological theory as well as ethnological terminology. The institute maintains extensive collections of archival material, sound and visual documentation, material on current research projects, and a large ethnological library. The Audiovisual Laboratory with its rich visual documentation and film material is a special unit of the ISE. © 2005 Znanstvenoraziskovalni center SAZU.